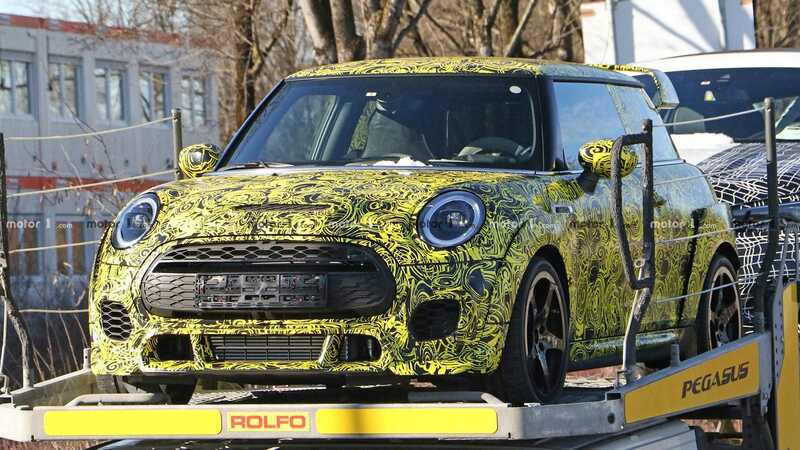 Just yesterday Mini released some teaser shots of their upcoming Cooper John Cooper Works GP and now we can see what the production body will actually look like. As you can see, this little car means business, adopting the meanest body kit we’ve ever seen fitted to a production Mini Hatch. 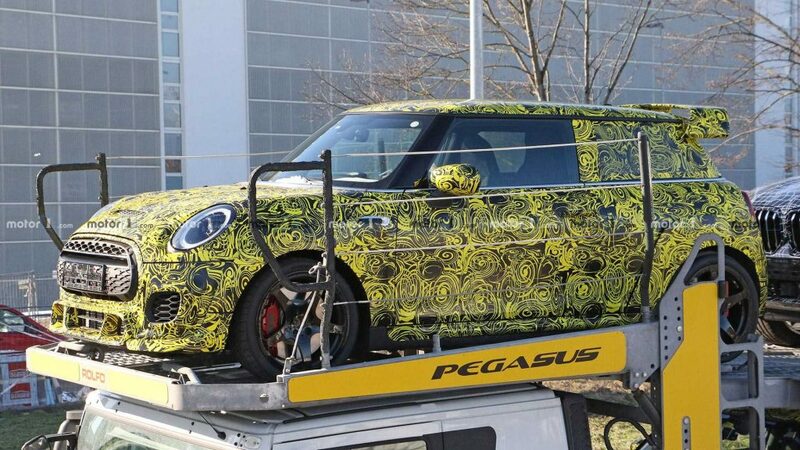 The highlight is obviously the massive split rear wing that looks taken straight from a race car, yet the JCW GP still has more tricks up its sleeves. Yes it does get fender flares but they are much smaller than what we saw on the Concept. It will sport aggressive bumpers that feature a splitter at the front and a diffuser at the rear. Other distinctive design cues are the central dual exhaust tailpipes and the wide wheels. The GP package also brings bigger brakes and a tweaked suspension, as well as lightweight materials. To make the car as light as possible, a rear seat delete should also be in the cards, at least as an option. As a reminder the new Mini Cooper JCW GP will be limited to 3,000 units and will pack a 2.0-litre turbocharged four-cylinder good for over 300 hp.